Sheer curtains provide a sense of sophistication with a fine finishing touch to the interiors of your home. These transparent, shimmering, embroidered sheer curtains are wonderful for draping and a great way to make the most of natural light, at the same time they maintain the much needed privacy. Most Sheers are made of polyester fibers and blends, they can be plain, textured, with stripes or embroidered, the synthetic makeup make them durable and easy to clean, they can be dry cleaned or washed with a mild detergent. They are also resistant to wind and moisture and are able to withstand daily use in an average household. They are usually accompanied with block out curtains to control the light shining in. This flexibility will help the curtains in keeping the room comfortable and functional at all times. Available in many colours from white to dark coffee and black they are embroidered using fine viscose thread in multi colours, to match your interior requirements. 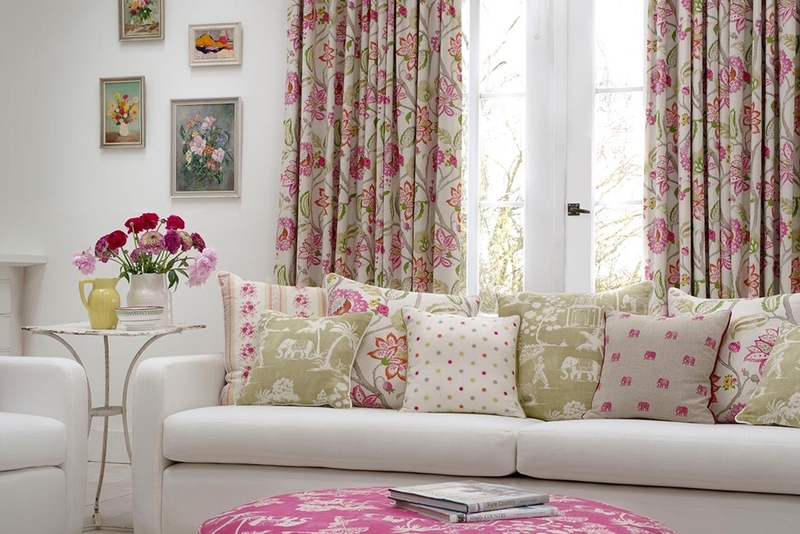 If you wish to add embroidery or sheer curtains to your existing decor, you need not worry as most sheers will come in white and neutral colours that will match your existing decor, so no need to completely redecorate. When considering embroidery sheer curtains, the possibilities are endless, the only limit is your creativity!